Seriously, did I just say in my last blog that I wasn't going to talk about Vegas? Well, I just fell behind. I never wrote the last chapter of my Pennsylvania vacation, which was about our lovely stay at the Mountaintop Lodge at Lake Naomi in the PA Pocono Mountains. I also have been to Napa to celebrate my parents' 50th wedding anniversary where I visited the Castelo di Amoroso and picnicked at fabulous V. Sattui winery. Alas, you are not going to get to here about any of it. I got too busy to blog. In late September, Craig informed me that I was being taken along on his 3 night business conference trip to Las Vegas. This news was met with some behavior bordering between cardiac arrest and hysteria. I gradually pulled myself together and spent the upcoming 6 weeks or so researching shows and restaurants. 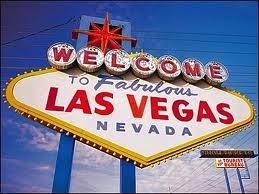 What happens in Vegas sometimes makes it to some San Jose mom in desperate need of a getaway's blog. We ate at three fantastic restaurants, all of which had been open for less than six months. None of these were listed in any of the guide books I consulted. They were highly recommended on Yelp. 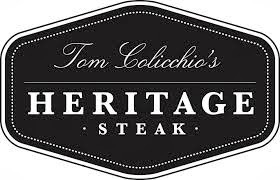 Celebrity chef Tom Colicchio opened his third Las Vegas restaurant, Heritage Steak, at the Mirage on August 19, 2013. The restaurant replaced Kokomo's, which had been a fixture at the Mirage since its opening in 1989. Our reservation was for 8:30 pm on the night we arrived, which was a Sunday. The place was packed. 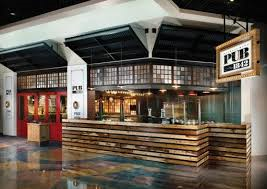 My first impression was not particularly favorable, as the tables were on the small side and fairly close together. It was also a little on the loud side. My fears were promptly allayed, however. The noise was at a perfect level, which allowed me to hear my husband and the waiter, but not the couples sitting on either side of us. Heritage Steak, as the name suggests, is a meat eaters place. Vegetarians need not apply. The menu, which changes slightly from day to day is replete with all manner of beast, specially cooked over open flames that you can see from your table. The specialty items, of course are the Heritage Steaks, represented on the night we were present by a Porterhouse for two ($110), a 10 oz Wagyu Steak ($105--what is Wagyu and why is it SO expensive?? ), a Kobe skirt steak ($45) and a Natural Prime Fillet ($55). Neither of us were particularly interested in appetizers so we both ordered the Prime Fillet and two amazing side dishes, brussel sprouts (covered with onions and bacon) and cauliflower (covered with cheese). All was simply scrumptious. All this and a bottle of Ridge Zinfandel and we were good to go. The service was also of a high caliber. We had a server and a main waiter. Both introduced themselves early and spoke clearly. We were checked on frequently and were not rushed in any way. All this yummy food and good service comes at a price however. The Open Table link from the Mirage website says that the average check is $70. That is for one person just having an entrée and maybe a soda. We had entrees and a bottle of wine (the cheapest bottle on the menu at $65)--no apps, no dessert and out big was almost four times that amount at $263. Charge it to the room!! Anyway, it's hard to go anywhere nice in Vegas and get out for much less than that, and it was totally worth it. Heard another little tidbit about the Mirage. Another long past it's prime restaurant, Japonais, it on its way out to make room for an offering by celebrity chef Morimoto. Five 50 opened at Aria on July 4th, 2013. Nestled in between the entrance to the Cirque du Soleil show, "Zarkana" and the poker room, the restaurant is part walk up bar and part modern pizza parlor. Funny that eating pizza here did not make me look like this..
Five 50 (apparently) is the optimum temperature for a pizza oven. Happy hour starts at 5:50pm and slices at the walk-up bar cost $5.50 a slice--pretty nifty, huh? Anyway, we had a reservation at 10:15pm after seeing a show on a Monday night No reservation was necessary at this time or on this night. The menu offers 8 signature 16 inch pizzas which mix up a variety of ingredients you aren't going to see at Round Table. The "Farmstead" features ham, crème fraiche, egg, and olives. Too healthy? Try instead the "Gotham," a meat lovers creation including pepperoni, sausage, salami, and grana padano (look that up on Google for me, okay?). Pizzas cost about 25-28$--pricey--but what isn't in Vegas?--and there is a build your own option for $22. We opted for the "Forager," white sauce, mushrooms, bacon, whipped ricotta, and spinach (Yeah, yum! 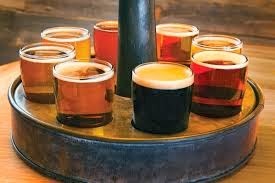 ), but first started with a Five 50 Chopped salad for $14 and a selection each from the wide variety of bottled and draft beers (including 11 microbrews) offered. The beauty of Five 50 is not it's romantic atmosphere, it's meticulously plated food, or it's stunning Strip view. You're going to have to go elsewhere if that is your goal. Five 50 is tasty filling food that you can eat without buyer's remorse. We got out of there with a bill of $68.46, about $200 less than the night before. It is hard to see Michael Mina's name and not equate it with delicious food. He has quite a holding on the Vegas strip, with restaurants in the Bellagio, Mandalay Bay, and Aria. The restaurant which now carries his name (and was formerly known as Aqua) has earned a Michelin star. A Michelin star? Well that's gotta spell big bucks! Well, now you can have Michael Mina food without Michael Mina prices. Michael Mina Pub 1842 opened June 18, 2013 at the MGM Grand in the former Seablue location (incidentally another MM restaurant!). Our reservation was at about 8:45 on Tuesday night. The place was packed with many waiting for tables outside the restaurant. There were lots of large groups in there and my first impression that this was going to be a meal during which my husband and I were going to have to either scream or read lips, but fortunately, our host led us to a booth quite on the edge of the restaurant where we sat side by side and heard each other well. The menu is super fun with original variations on the usual pub fair, including steaks, barbeque, burgers and salad. Entrees were all about $19-28. A carne asada salad was $24. The award winning Champ Burger (with double cheese and double bacon) was $19. My husband's entrée Greek Salad included the unique twist of lamb meatballs and pita bread. Though the salads were quite tempting, especially on our third night of Las Vegas eating, I went for the heavily touted Peanut Butter Crunch Burger for $19. 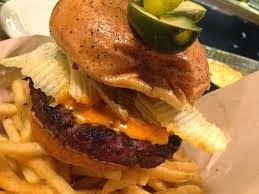 I approached the combination of bacon jam, potato chips and Skippy Crunchy peanut butter on a burger with trepidation, but was that thing good! The yelpers were right! Super fun also were the "Beer Wheels," which for $21 gave you eight five ounce samples of beers under one of two categories, "Born in the USA" or "Wild World." I'll let you figure that out. This was some seriously delicious food in a very fun atmosphere, and well maybe not the best part but certainly an added benefit, again we left the restaurant for under $75. For me, Vegas is largely about the shows. Vegas shows for ages now have overcome the dreaded collection of feathered dancers, off-color comedians and creepy hypnotists. Vegas shows of today are world class acts with world class talent. In many cases is it worth travelling to Vegas just to see a show. We saw two fantastic shows while in Las Vegas; long time MGM Grand Cirque du Soleil production, KA, and new to Vegas production, Million Dollar Quartet. wanted to see and picked them up at the MGM Box Office the day before the show. KA premiered at the MGM in 2004. The show and massive theatre cost $165 million to develop. KA is one of the eight resident shows now playing on the Las Vegas Strip. KA weaves an elaborate plot involving imperial twins who are separated in some kind of ambush and then after myriad adventures and pathways of inner growth, are reunited and all is happy. Whatever. 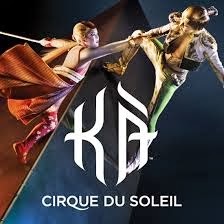 It is the colorful and unique costumes, the exciting and rhythmic, yet lyrical music, and the sometimes death-defying superhuman stunts that are the show point of CDS shows, and KA is no exception. Notable is the "Sand Cliff Deck," a 50 ton, 112 square meter platform being maneuvered by a vertical crane, used for the "Climb" scene, during which our heroine and her companions simulate climbing (and sliding down) a sandy cliff face while being shot at by archers. Another eye popping act is the "Death Wheel." I must say though that I also very much liked the sweet and understated scene in which the Court Jester teaches the Twin Brother how to make shadow puppets to distract him from his fear. The final scene of celebration is breathtaking and emotional, positively over the top. There is so much brightness and volume surrounding this happy scene that you find yourself wishing it to never end and nearly ready to cry, though not knowing why. It is simply fantastic. Well KA broke the bank. We couldn't afford another set of top notch tickets, so we looked for a lower key show in a lower key venue to occupy our third night. In doing research I happened upon a show new to the Vegas strip, Million Dollar Quartet, now showing at Harrah's, just a few steps across the street from where we were staying at the Mirage. 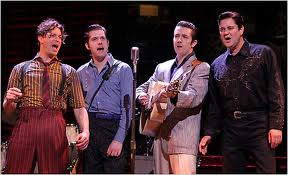 Million Dollar Quartet opened at the Harrahs's showroom for an open ended run on February 4, 2013. 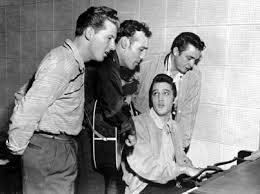 It tells the story of the recording of a single jam session resulting from the accidental meeting of rock legends Carl Perkins, Elvis Presley (then 21), Johnny Cash and Jerry Lee Lewis (also 21) in the ramshackle recording studios of Sun Records in Memphis, TN on December 4, 1956. What's not to love? The Harrah's showroom is a small venue and I couldn't really consider any seat to be "bad." Our tickets were for a table seat which was behind a row of booths which was behind about 15 rows of orchestra seats, not bad seats, except for the inconvenient necessity of having to turn your body or neck to face forward. Well, the Harrah's showroom will hold a special place in my heart forever as I experienced there something I had never seen in ANY venue. About 5 minutes before the show started, the usher started to relocate people seated in the rear to the unoccupied orchestra seats. Craig and I wound up in like the ninth row. I was blown away. Anyway, this show is a hoot and a half and we loved it. It is almost more like seeing a concert than seeing a musical, as there really is very little plot. It's just legendary song after legendary song, sung by actors who portrayed their characters with eerie precision. These guys were really more part of my parents era, and this story took place more than ten years before I was born, but this did not prevent my enjoying it. The most exciting part of the show is the curtain call, when all the stops are pulled out, the most memorable songs performed, and the audience participates most. Seriously, excellent entertainment. One thing I must add is that this show was totally clean, unlike Jersey Boys. OK--watch me! I'm really posting! Don't forget me! No immediate trips planned, but stay tuned as I visit Napa this weekend and report on the V. Sattui Winery Barrel Tasting party!